While the basic engineering idea behind the propeller blade hasn’t changed much in the last hundred years, there have been numerous design tweaks and modifications in materials used to create the propeller which have created substantial gains in efficiency. Aluminum alloy blades. As engine power increased during the interwar period, wood propellers became insufficient to meet the new requirements of the propeller. Aluminum alloy blades were much easier to repair, had a higher strength, and performed much better. They could rotate at higher speeds and could be stored indefinitely. They also allowed for the next great innovation in propeller design, which was the advent of separate and detachable blades. Constant speed propellers. Metal propellers helped usher in the age of the variable pitch or constant speed propeller, which could be achieved with detachable blades and a hydraulic as opposed to mechanical propeller governor system. This resulted in a propeller blade that varied its angle – or pitch – while still in the air using a counterweight system. Multiple blades. While propellers with a single blade were the norm in the early days of flying, today we see anywhere from 2-blades to 6 or more blades used in propellers because the most efficient blade count for a particular aircraft depends on so many factors today, including engine power, operating RPM for the propeller, diameter limitations, aircraft performance requirements, noise requirements, and others. As power increases, additional blades are added to efficiently utilize the increased power. High efficiency in modern propellers comes from running the blade tip speed close to the speed of sound. Composite propeller blades. Among the largest recent advances in propeller efficiency has been the rise of composite propeller blades. Composite propeller blades are made from Kevlar or carbon fiber, which is more durable and easier to repair than wood propellers. They also deliver greater gains in efficiency. 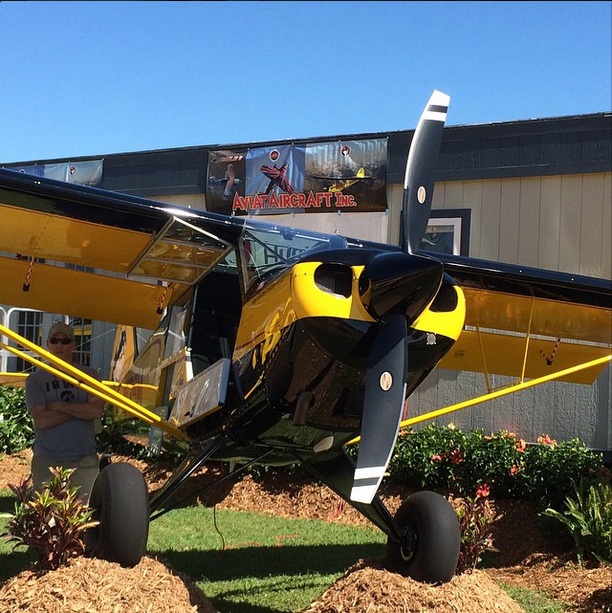 For instance, the Hartzell Trailblazer prop provides more than a 10 percent increase in climb performance and a 12 percent reduction in takeoff distance at max gross weight. Swept–tip propeller blade design. The design of the swept-tip propeller allows for a larger propeller diameter, which increases takeoff and climb thrust without increasing noise. The swept-tip design has long been known to improve efficiency in wings (since about 1943) but outside of cost-prohibitive or military applications, swept-tip propellers weren’t seen much in the air. But in 2012, Hartzell Propeller and Raisbeck Engineering collaborated on a swept-tip propeller to enhance performance on the King Air B200.